Fast and Light Rims by Mavic offer you the best solution when looking for light weight, high stiffness and great aerodynamics. 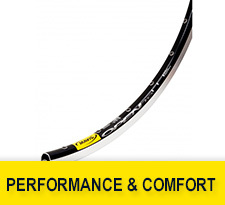 The Performance and Comfort Rims are the road bike rims that offer reliability, toughness and also speed. 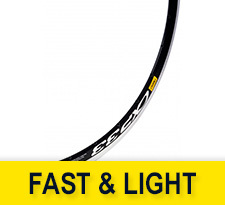 Engineered with the latest technologies by Mavic bring high performance at competitive prices.